Thanks to a surge in popularity as a tourist destination (that shows no sign of slowing down), Porto’s nightlife continues to thrive and visitors to this vibrant Portuguese hotspot can expect an expanding list of options for enjoying the city after dark…. 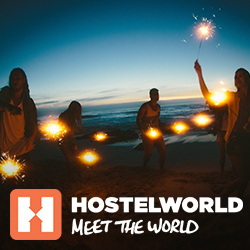 The post Porto nightlife hotspots perfect for drinking and dancing till dawn appeared first on Hostelworld Blog. The post Superb day trips from Lisbon you can reach in 3 hours appeared first on Hostelworld Blog.